Fix computer problems, Boost PC & Internet speed, Freeware Download - Amigabit: Want to make your computer run faster? 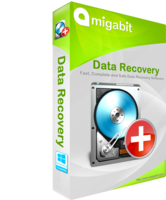 Amigabit Data Recovery for Mac - 1.0 - Recover deleted, damaged or formatted data from hard drive and devices on Mac. Amigabit Data Recovery for Mac - 1.0 - Discount (Save $10) - Recover deleted, damaged or formatted data from hard drive and devices on Mac. This powerful software is an efficient alternative solution to expensive and time-consuming data recovery services. It enables users to recover all kinds of lost files covering pictures, videos, music, documents, executable files, zip files and more from all popular file systems including FAT12, FAT16, FAT32, NTFS, NTFS 5, and ExFAT in situations ranging from incautious file deletion, accidental formatting, virus infection, improper operation, formatted hard drives, damaged or deleted partitions, unexpected shutdown, software crash, etc. that may result in seemingly data loss. Nevertheless, with this utility you can find back all your data stored on Windows hard drive, lost partition and other storage media, such as hard drive disks, memory cards, digital camera cards, USB drives, flash card and other storage devices just by several clicks. This awesome and cost-effective undelete and data recovery software is empowered by the new unique data recovery technologies. The data recovery software offers you two different but intuitive modes to find back your lost data: Standard Mode and Shortcut Mode. Analyze, defragment and optimize your hard disk for peak performance. 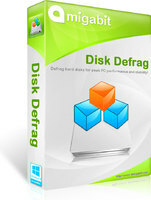 Amigabit Disk Defrag reorganizes the files on your hard drive, so that the PC can find them faster. You can set disk defrag to run automatically at scheduled day and time or just let it work automatically when your PC is idle. Keep your hard drives working at full speed within seconds! Fix all registry errors and fix slow computer quickly. Amigabit Registry Cleaner is a solid program to scan, clean and repair Registry errors causing slow speed, PC crashing or freezing, blue screens, error messages, etc. with simple, one-click option. It also automatically backup any repairs made. So you always can restore Windows registry to the original state using restore button. Complete solution to speed up, clean up, fix and power up your Windows computer. Amigabit PowerBooster offers a complete solution to speed up, clean up, fix and power up your Windows computer. With over 25 useful PC utilities included, it has never been easier to speed up your slow computer safely and quickly! Recover deleted, damaged or formatted data from hard drive and devices. This powerful software is an efficient alternative solution to expensive and time-consuming data recovery services. It enables users to recover all kinds of lost files covering pictures, videos, music, documents, executable files, zip files and more from all popular file systems including FAT12, FAT16, FAT32, NTFS, NTFS 5, and ExFAT in situations ranging from incautious file deletion, accidental formatting, virus infection, improper operation, formatted hard drives, damaged or deleted partitions, unexpected shutdown, software crash, etc. that may result in seemingly data loss. Nevertheless, with this utility you can find back all your data stored on Windows hard drive, lost partition and other storage media, such as hard drive disks, memory cards, digital camera cards, USB drives, flash card and other storage devices just by several clicks. This awesome and cost-effective undelete and data recovery software is empowered by the new unique data recovery technologies. The data recovery software offers you two different but intuitive modes to find back your lost data: Standard Mode and Shortcut Mode. This powerful software is an efficient alternative solution to expensive and time-consuming data recovery services. It enables users to recover all kinds of lost files covering pictures, videos, music, documents, executable files, zip files and more from all popular file systems including FAT12, FAT16, FAT32, NTFS, NTFS 5, and ExFAT in situations ranging from incautious file deletion, accidental formatting, virus infection, improper operation, formatted hard drives, damaged or deleted partitions, unexpected shutdown, software crash, etc. that may result in seemingly data loss. Amigabit Privacy Cleaner safeguards your private and sensitive data by removing search history, web page activity, and any trace of activity on your Computer. With 1-click, the program runs a complete scan across the entire system - cache, cookies, recent documents, history, etc - to discover all of the privacy risks that may threaten you. 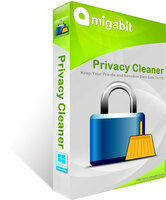 What is more, you can schedule Amigabit Privacy Cleaner to run privacy cleaning sessions automatically! 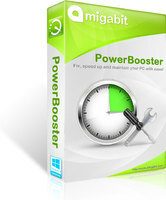 Save 80% on Amigabit PowerBooster & Share 300% Faster PC with Your Family! Bundle content: Amigabit PowerBooster - 4.0. Amigabit Privacy Cleaner - 1.0. 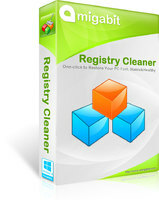 Amigabit Registry Cleaner - 1.0. Amigabit Disk Defrag - 1.0. Amigabit Holiday Gift Pack - Bundle content: Amigabit PowerBooster - 4.0. Amigabit Data Recovery - 2.0.